You might be surprised to find out that die casting equipment was invented as a way to produce movable type for the printing industry. The printing press was well established by this time, but personal typing devices were yet to be widely used. Die casting changed this when it was first invented in 1838, over 150 years ago. Back then the die casting process was done by hand and a mixture of lead and tin was used as the alloy. Of course, from these small-scale humble beginnings came a pivotal technology. 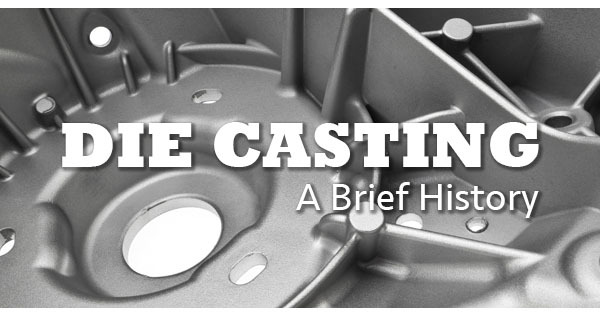 Here is a timeline of die casting applications and its rise to an industrial necessity. 1838- The die casting process was invented. 1849- Patent for die casting was approved. 1890s- Up until this point the only use was for typewriters and portable print. As the technology had gained traction over time, people began using it for different products. New dies were made and the advantages of die casting had become apparent. 1914- Zinc and aluminum entered the fray, quickly replacing tin and lead as the favored alloys. This improved the strength and potential of products made with the die casting process. 1966- Acurad die casting was invented by General Motors, allowing low iron alloys to be cast. It also featured a bottom fill technology that later led to the development of computer modeled filling. 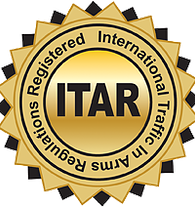 The modern auto industry relies heavily on die casting for engine blocks and various other components capable of withstanding intense heat while they maintain their structural integrity. Today we have global scale adoption of the die casting process for manufacturing so many different products that require metal alloys to function. These die casting machines are no longer hand operated, and sensors linked to computers monitor the relevant data that will help refine and perfect the process. The history of die casting is the story of a big idea that grew ever more useful and integrated into the global industrial marketplace over time. If you require a die casting manufacturer based in America, call Lakeshore Die Cast to discuss the best methods and die cast products for your project, no matter how big or small.